What is life like after a serious accident and injury? For weeks, months, and even years after an injury, you may feel the pain and see the scars from your injuries every day. You may also suffer from long-term health consequences, including physical disabilities, depression, and anxiety. You may not look the same, feel the same, or be able to enjoy life’s daily pleasures. At the same time, you may be facing a pile of medical bills and related financial stresses. At Van Sant Law, we understand the depth and breadth of the effects of a personal injury. We also understand the law. If your life has been drastically changed by a serious accident caused by another’s negligence, you may deserve compensation for what you have suffered and lost. Whether your injury will eventually heal or it will drastically and permanently change your life, you may deserve compensation for the harm that has come to you. In order to receive full compensation for your injuries, it is vital to understand the true costs and extent of your injuries. We are familiar with a range of serious injuries and related disabilities. In addition to physical injuries, it is important to note that many serious injury survivors also suffer from less visible health problems including depression, anxiety, and even post traumatic stress disorder (PTSD). If you are struggling with these issues, speak with your doctor, seek treatment, and be sure to mention any diagnoses to your attorney. 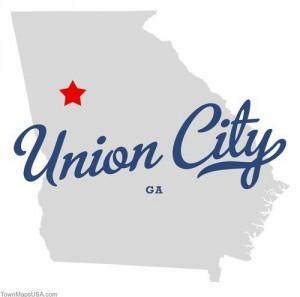 What separates us from other Georgia personal injury attorneys that practice in Union City? We want our clients to know that we have a track record of winning big cases against insurance companies and aggressively fighting for what our clients deserve. We also want you to know that we are fully committed to our clients and their families, from answering their queries quickly and personally, to helping them find peace and renewal after their accident in any way we can. We offer our personal injury clients free consultations as well as a no-fee guarantee. If you don’t receive compensation for your injuries, we don’t get paid. We want you to have a chance to tell your story to an experienced, knowledgeable injury attorney. At Van Sant Law, we offer injury victims and their families a complimentary, no-obligation consultation where you can ask questions, learn more about your case, and review your legal options. To schedule your appointment, contact us today at (404) 991-5950 or fill out our online contact form and we will get back with you.